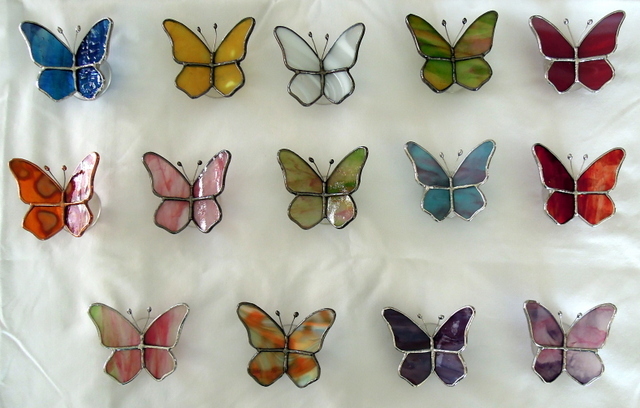 These are Flory’s suction cup butterflies that we recently made as gifts for an organization that she belongs to. Most of these butterflies were made from Youghiogheny Heads & Tails along with a couple using Bullseye Glass and one using Spectrum Baroque. 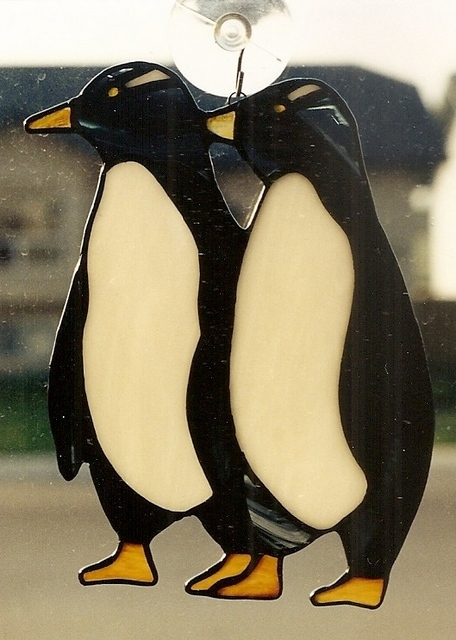 The following suncatcher is called “Goin Formal” and was a free Spectrum Glass Pattern of the month in April 1998. They measured approximately 6 inches wide x 7 inches high. 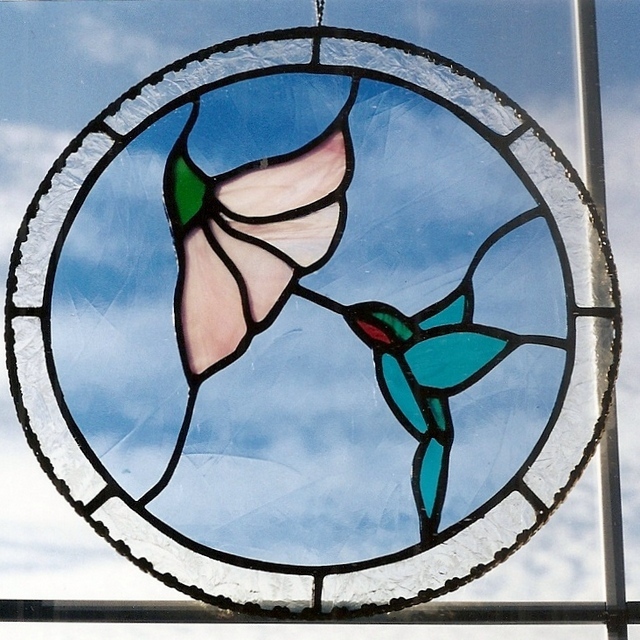 When we first started to learn the art of stained glass we made this Just a Sip Hummingbird Panel back in 2000. The circular panel is approximately 10 inches in diameter, with an outer ring of clear glue chip glass. The blue background is a light blue Spectrum Artique #132A. We used a soft brass flexible U channel for the outside, with the channel and the solder lines all with black patina and polished using Clarity (Kemo-Pro) finishing polish. 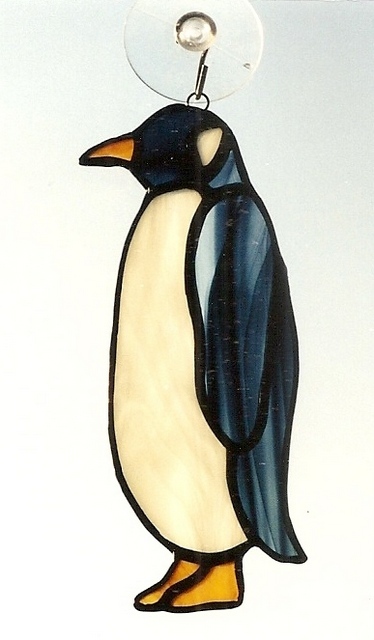 The design is one of the free design patterns offered by The Spectrum Glass Company. 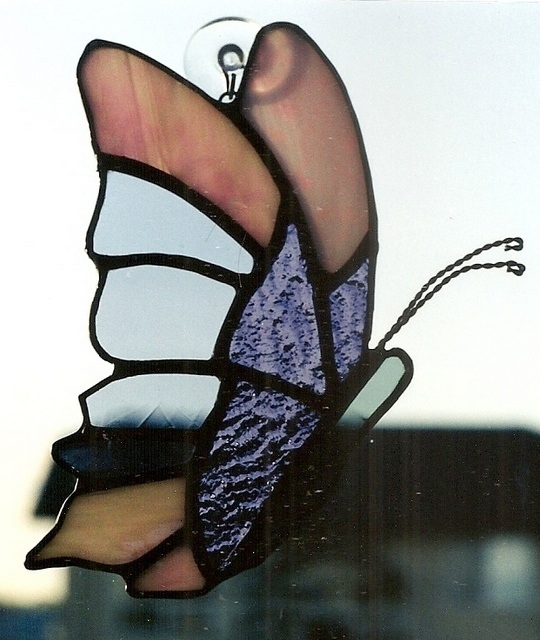 Here is another butterfly # 2 made many years ago. It measures approximately 5 x 5 inches. 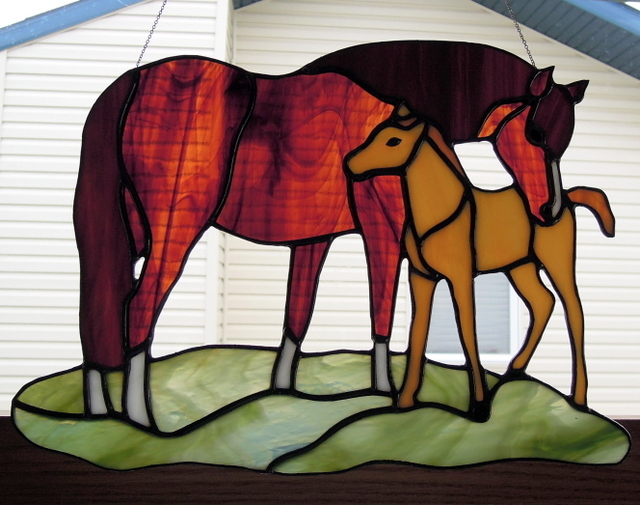 This mare & foal was made for clients in 2016. The design was obtained from Spectrum’s Glass website and we enlarged the pattern to measure 12 inches wide x 8 inches high. For hanging we soldered fine silver chain into the solder seams on the back side of this suncatcher.